Mushrooms produce millions of spores that spread and grow into new mushrooms. If you plan to grow mushrooms at home, collecting spores will be an easy and cheap way to get started. There are various techniques in collecting mushrooms spores. The easiest way is through spore prints. 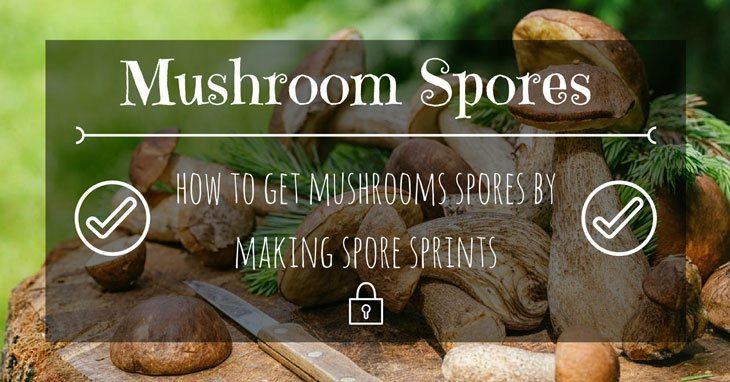 In this guide, we will show you how to get mushroom spores by making ﻿﻿spore prints. What If There is No Print? Be careful of poisonous look-alikes. Choose the right kind of mushroom for spore printing. Some species of mushrooms are not likely to make a print. Mushrooms are fungi. 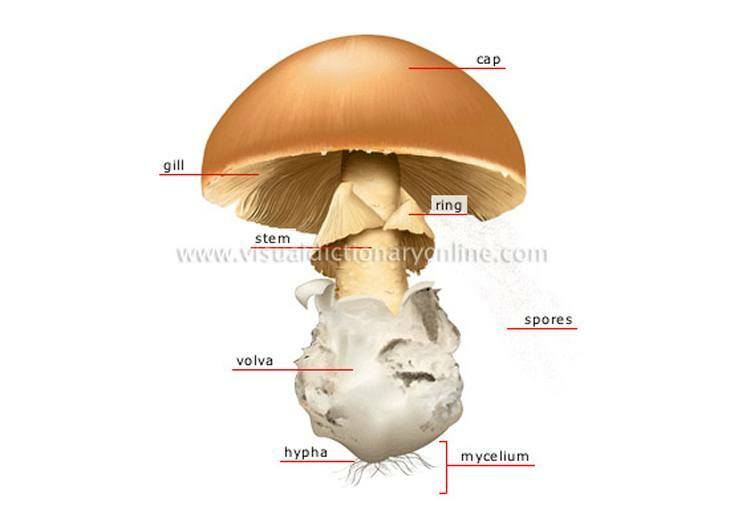 Unlike regular plants that grow from seeds, mushrooms grow from spores. You’ll need these spores if you are trying to grow mushrooms at home. Yes, it is possible to buy mushrooms spores. They are normally priced per gram. However, if you have access to fresh mushrooms, collecting their spores will offer more benefits. Mushroom spore prints are a dense cluster of spores from mushroom gills. These spores are normally printed on a clean piece of paper. A single spore can be hardly seen by the naked eye. However, a spore print makes all the mushroom spores visible. It is like the fingerprint of a mushroom. Spore prints are done for various purposes. The most popular is for mushroom identification, art, and cultivation. What is great about making spore prints is that they can be done on the go. If you are a mushroom grower, spore prints allow you to diversify the characteristics of your mushrooms (source). Collecting spore prints is not a very complicated process. When you do it, the results are dramatic. If you have all the materials at hand, you can do the procedure in less than one hour. That is, excluding the waiting time. During the waiting time, the spores will just fall from the gills and transfer on the piece of paper. It is a pretty cool process that results in a seeming work of art made of spores. Making spore prints is an inexpensive way of gathering and preserving spores for whatever purpose you may have. What’s good about spore prints is that you can easily seal and store them for future use. Making spore prints is also a good way of preserving a variety of home grown mushrooms you like. Making spore prints needs to be done in a clean and sterile manner. If possible, wear gloves during the process. Contaminating the mushroom can make this process unsuccessful. To be sure, take all necessary precautions. Gently remove the cap from the mushroom. Cut the stem off when necessary so that there won’t be any stem extending down from the cap. When removing the stem, use a very sharp knife. This will prevent you from shaking or crushing the cap during the process. You will lose spores with too much movement on the cap. Prepare the white piece of paper. Lay the cap of the mushroom on the paper with the gills facing down. If the entire mushroom cap does not fit in the paper, you may cut the cap into several sections. Drop a small amount of water on top of the mushroom cap. This will encourage the mushroom to release spores. Cover the mushroom cap with a glass container. This will prevent any air movement from scattering the spores. It will also prevent the mushroom from drying out and from contamination. Leave the mushroom cap covered by the glass container for 24 hours. Some prints may appear as early as a few hours but you’ll get the best result if you wait overnight (source). After 24 hours, remove the glass container. While holding the paper with one hand, carefully remove the mushroom cap. You should be able to see a clear spore print. If the paper is left untouched, the spore print should reflect the pattern of the gills. If after waiting 24 hours, you get a very pale mushroom print, this could indicate you may need extra waiting time. However, in most cases, you may have to repeat the procedure. It could be that you used a mushroom that is too dry or too old to produce spores. Also, store-bought mushrooms are not ideal for making spore prints. These mushrooms normally have lost most of their spores during storage or transport. The best mushrooms to use are those freshly picked. Collected mushroom spores can last for years. But there is no definite time as to how long it can go. Different forums have different answers to this question. Ultimately, the shelf life of mushroom prints depends on their storage conditions. Once the spore prints are ready, you could either plant them or store them. Storing spore prints for future use is easy. Many people prefer using a zip bag that is 100% airproof. The size of the bag will depend on the size of your spore print. Simply insert your spore print inside the bag. Remove all the air inside and seal. The general rule for storing spore prints is in a cool, dark and dry place. You may store them in between books or in a box. For longer shelf life, it would be best to store spore prints inside the refrigerator (source). Note that when you keep your spore prints inside the refrigerator, they need to be tightly sealed. No amount of moisture should seep into them. Sealing the spore prints from air and heat will prolong their shelf life. If not in the refrigerator, be sure to keep the spore prints in a cool and dry location. Too much moisture and high temperature can damage the spores. Too much moisture also encourages bacterial growth that will destroy the spores. Numerous mushroom species are toxic and dangerous. Even edible mushrooms have look-alikes who are poisonous. If you are making spore prints from the mushrooms, you picked in the wild, be sure that they are the edible variety. That is, you are 100% sure they are the kind of mushroom you think they are. Otherwise, you can make spore prints using fresh mushrooms from a known source. Do you know that the color of the spore is key to differentiating the edible and poisonous mushrooms? For instance, edible Blewits look like the poisonous Cortinarius. However, Blewits make salmon pink spore prints. Cortinarius have rusty brown prints (source). The selection process for the mushroom to be used in spore printing is very crucial. If you choose a young mushroom, it may not have enough spores to shed. The same is true if the mushroom is very old. You’ll get 99.9% success rate if you ensure that the mushroom you use meets the criteria we have listed above. Some mushrooms are not likely to drop spores and make prints. This is true for mushrooms that have a covering over their gills (partial veil). The best species of mushrooms to use for spore printing are those with flat caps. Examples are shitake and oyster mushrooms. Getting mushroom spores is not that difficult after all. Making spore prints is an easy, inexpensive and enjoyable process. 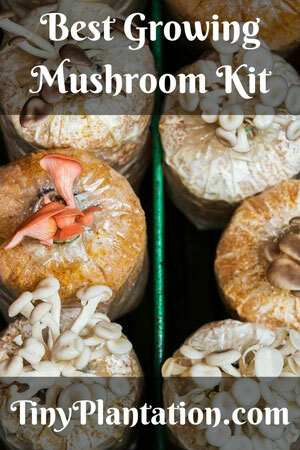 Now that you know how to get mushroom spores, are you interested in trying this at home? Did you find this guide useful? Please share with us your thoughts through our comment section.